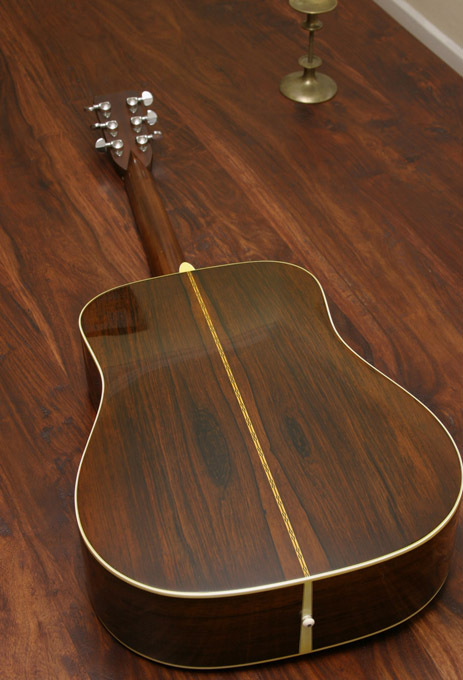 The last of the Mohicans, made within a few months before Martin stopped using Brazilian Rosewood on its instruments. Some guitars feel dead right the minute you pick them up. This is on of those. 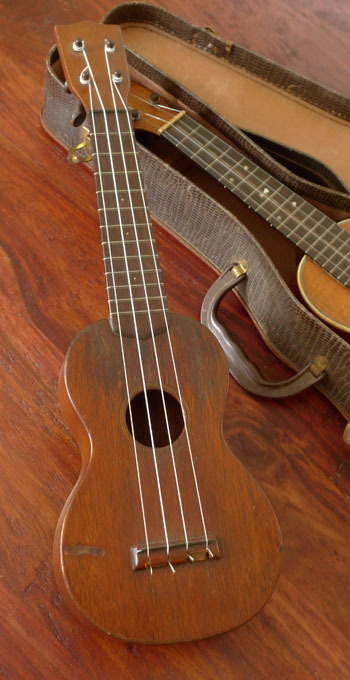 First and foremost, the tone of this instrument is unsurpassed for the bell-like trebles that only come from Brazilian Rosewood. 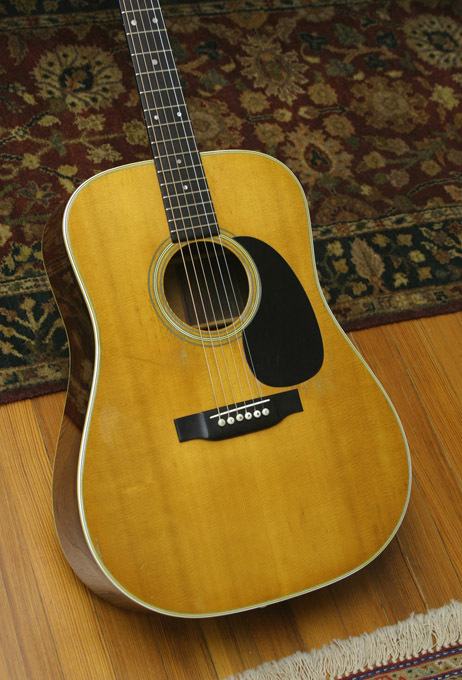 The tone of this guitar, I would hold up to most mid-40’s D-28’s I’ve played. Playability, and set-up: it could not be better, and it’s got that 60’s combination of low action, great tuning speed and accuracy from the Grovers, and superb intonation all the way to the wee frets. 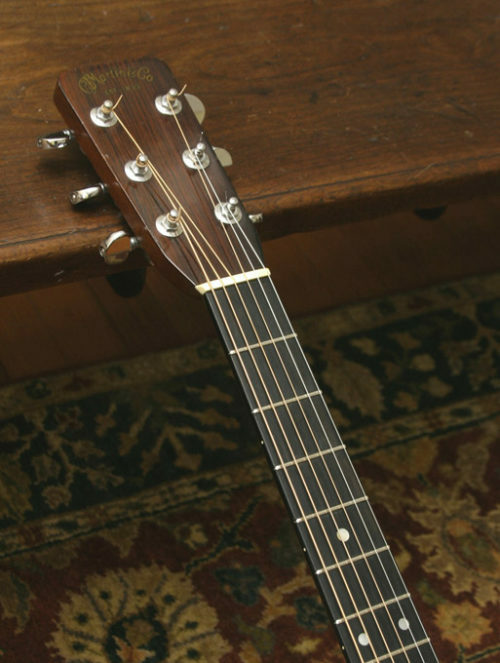 More than anything, this guitar stands out for its low action combined with robust tone. 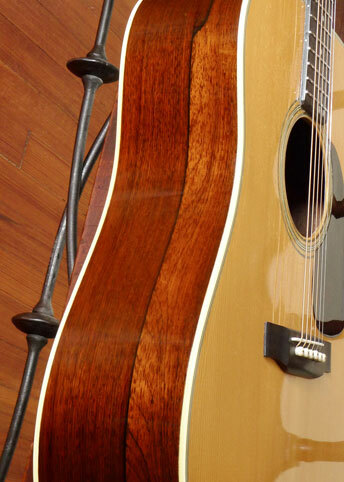 Amazingly, the string height at the 12th fret: Just a hair over 2/32” at the high E; and 3/32 at the low E. It plays in our left hand like a dream, fast and fluid… yet the tone is full with no buzzing anywhere. 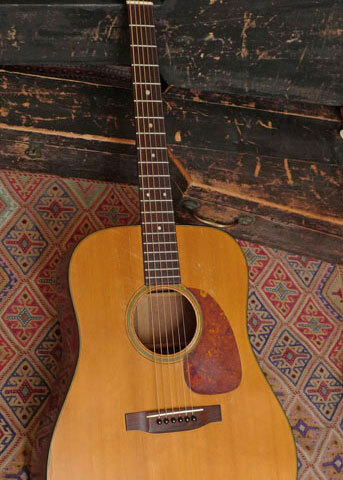 I personally have never played a Martin dreadnought from any period that is so effortless to play, so easy on the left hand and so fast and yet so full of Brazilian tone. BTW, light gauge strings only? 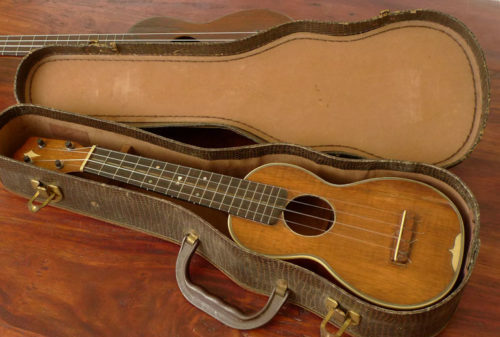 No way… I’ve got it strung with medium gauge, and it plays like butter in your left hand. 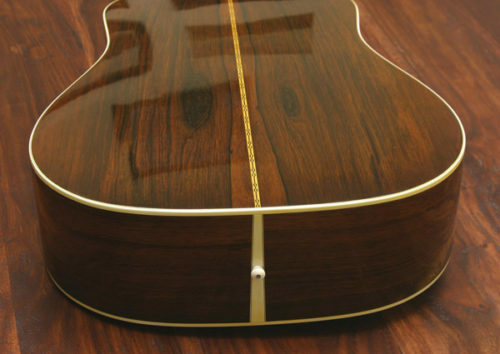 There is minor pickwear, with some moderate wear around the soundhole. 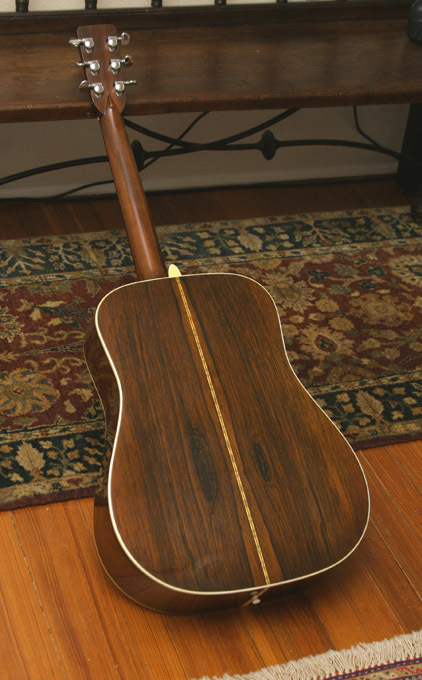 No cracks on top; two, almost indiscernible cracks on back, that have been addressed–glued (no cleats). You have to look very hard to see these two back cracks, they are hairline cracks, each about 6 inches long.. but they are not visible from more than a few inches away, and impossible to photograph. 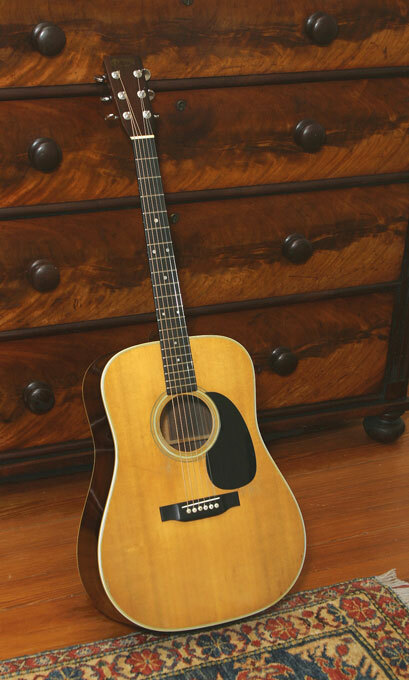 Throw away the book on this one… This is one of the best Brazilian rosewood Dreadnought Martins you’ll play, period, in fine original condition.